L-com’s USB adapter and cable adapter products are some of the many popular adapters offered. 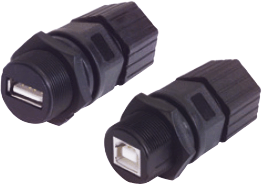 Adapters for fiber, USB, coaxial, telecom, and D-Subminiature interfaces are also available. L-com offers adapter styles such as inline, panel-mount, bulkhead, wall plate, and more. L-com WiFi antenna and wireless antenna products are available in 400 MHz to 5.8 GHz frequencies to address many wireless LAN applications including WISP, SCADA, RFID, public hotspot, WiMAX, ISM,UNII, public safety, cellular, LTE, PCS services, and more. 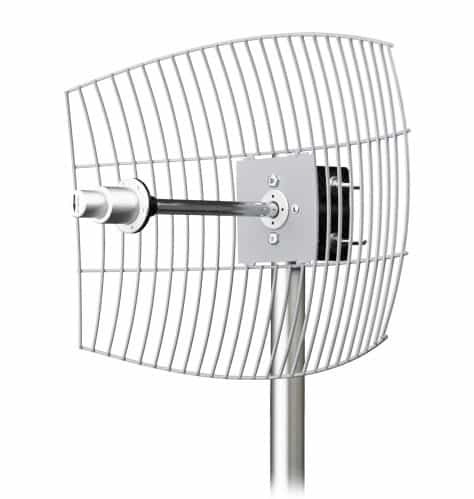 These high performance HyperLink® brand WiFi antennas include a wide selection of Yagi antenna, Omni directional antenna, indoor antenna, and outdoor WiFi antenna styles. L-com HyperLink brand 400 MHz Omni Directional Antennas are ideally suited for multipoint, SCADA, UHF Business Band, General Mobile Radio Service, Family Radio Service 2-way “walkie-talkies” and public safety band applications where high gain and wide coverage are required. Our 400 MHz Antennas are available in 410 MHz to 490 MHz frequency ranges. HyperLink brand 900 MHz antennas are well suited for the following applications: SCADA, 900 MHz ISM/GSM, RFID and 900 MHz Cellular deployments. L-com offers 1.2 GHz antennas to address applications including wireless video links, wireless security cameras, wireless video transmitters, and wireless security systems. 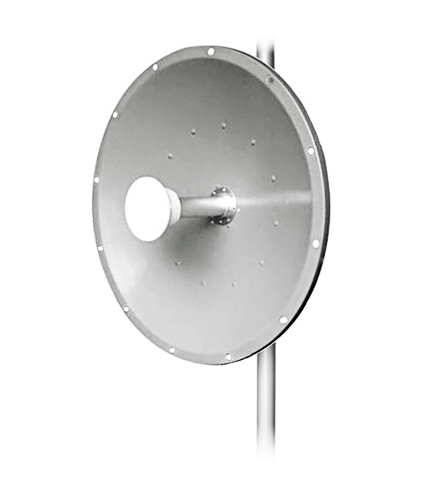 We manufacture 1.2 GHz antenna solutions for indoor and outdoor applications. L-com’s 1.9 GHz HyperLink brand wireless antennas are well suited for all your 1.9 GHz Personal Communication Service (PCS) applications. L-com’s 2.4 GHz WiFi antennas include over 200 models ranging from Grid, Yagi, Patch, Panel, Rubber Duck, Omni directional and more. These HyperLink brand 2.4 GHz WiFi antennas are designed for years of operation even under harsh conditions. Popular applications include: IEEE 802.11 a/b/g/n, WiFi, WiMax, Bluetooth, WLAN’s, WISP, public “hot spots” and more. L-com popular HyperLink brand 2.6 GHz wireless antennas are perfect for all your IEEE 802.16 and 802.20, WiMAX, NLOS and WISO applications. We offer both indoor and outdoor versions of these 2.6 GHz antennas. L-com HyperLink brand 3.5 GHz antennas are available in Omni directional, Dish, Patch, Panel, and Rubber Duck form factors. These 3.5 GHz antennas are well suited for the following applications: IEEE 802.16e, WiMAX, Mobile WiMAX and SOFDMA. L-com HyperLink brand 4.9 GHz antennas are specifically designed to address public safety and homeland security applications. L-com HyperLink brand 5 GHz WiFi antennas can be used in UNII, ISM, IEEE 802.11a, Radio Local Area Networks (RLAN), Fixed Wireless Access Systems (FWA), WiMAX and MESH wireless networks. 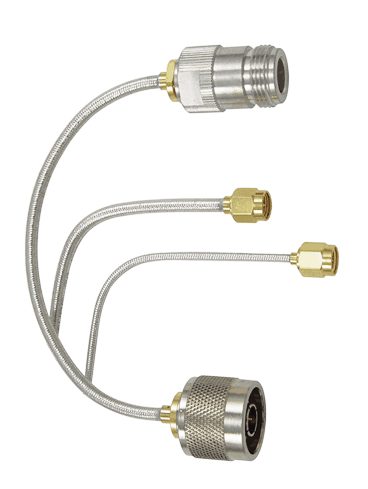 L-com coaxial product line features popular coaxial cable, RF connectors, RF cable and other high quality coaxial products such as SMA connectors, coax adapters, and tools. In addition to standard cable types, L-com offers cable assemblies using Semi-Rigid Low-Loss Aluminum or Copper cable from sizes of .047 to .250 with a wide array of available connector types. 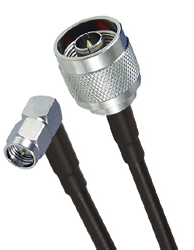 L-com’s cable connectors feature popular coaxial connectors, fiber connectors and tens of thousands of other high quality connectors such as D-Sub connectors, modular connectors, and fiber connectors for convenient same day shipping. 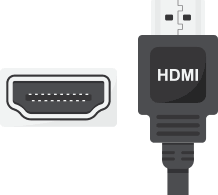 Data connector styles include: solder, clamp, screw terminal, IDC, reverse polarity (RP), and more for coaxial, D-Subminiature, RJ45, RJ12, RJ11, fiber optic, GPIB, USB, Firewire, and audio/video applications. L-com offers one of the broadest lines of off the shelf coaxial cable assemblies for all your 50 Ohm and 75 Ohm applications. In addition to our standard coaxial cable offering we also provide low loss coaxial cable assemblies to satisfy your WLAN application requirements. Popular styles include: RG58, RG59, RG174, 195 Series, 240 Series, and 400 Series low loss coaxial cable assemblies. L-com’s fiber optic offering includes popular fiber optic cable, fiber optic connector, fiber attenuators, splitters and fiber optic termination enclosure products. Fiber optic cable assemblies are available including single mode fiber, multimode fiber, duplex fiber and simplex or duplex single mode fiber cables. 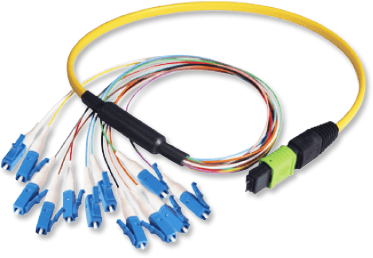 These fiber optic cable assemblies utilize the most widely used connectors including: LC, SC, ST, FC, MTRJ, and more. L-com’s surge protector and lightning arrestor products feature both coaxial and data line lightning and surge protection for every application. L-com’s NEMA enclosures, electrical enclosures and weatherproof (outdoor) enclosures are ideal for remote WLAN WiFi equipment installations, indoor and outdoor, hot and cold temperature environments, solar powered applications, corrosive environments, sub-zero installations, hotspot applications and protection of equipment from theft or damage. 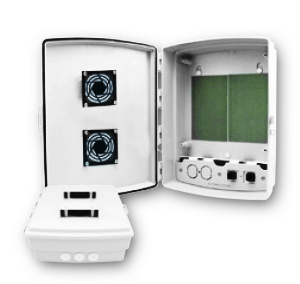 L-com weatherproof enclosures feature both ABS and fiberglass NEMA rated designs and are available with a wide range of options including: heat, cooling, AC or DC power, and Power over Ethernet (PoE) interfaces. 120, 240 and EURO 240 VAC enclosures are also available. 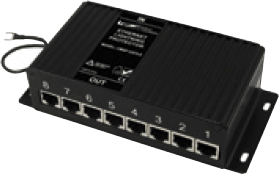 L-com’s family of wireless booster/amplifier products are designed to offer significant improvement in operating range and performance as well as boost your wireless signal. 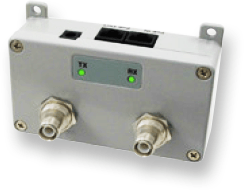 Our current product line includes models for operation in 900 MHz, 2.4 GHz, 5.8 GHz, 4.9 GHz and 4G/LTE Cellular frequency bands. Point Six™ Wireless temperature and humidity sensors, dataloggers, people counting and energy monitoring sensors help organizations to monitor energy usage, optimize operations and assist in regulatory compliance. 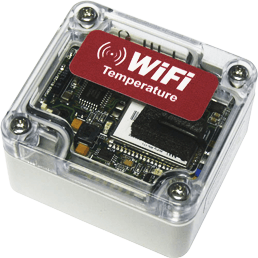 Wireless sensors can be found in the healthcare, hospitality, food service, retail, data centers and refrigerated transport applications. Dipole Wireless Communication Ltd is authorized distributor of L-com Global Connectivity in ISRAEL.